I just setup my cell phone to use Google Voice as my voice mail provider. Why Google Voice? Because Google Voice will take the message, transcribe it, email it to you along with the audio recording. And it will send the transcription as a text to your phone if you'd like. This is awesome! How does it work? Easy. So long as your carrier has call-forwarding capabilities (preferrably "conditional" as in it will try a few rings before forwarding it) then you're set! Setup your Google Voice, then setup the call-forwarding on your phone. Google walks you through all of this. All future voice-mails will be sent to both your Google Voice inbox and your email inbox as both text and audio. You can also making calls from Google Voice through your phone. You enter the number on the website, Google Voice calls you, then connects the number. All U.S. calls are free and it has better international rates than your land-line. $.02/min to Mexico City! Enjoy! 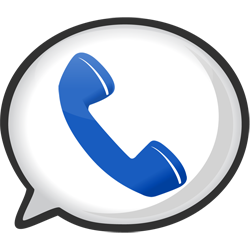 There are several interesting articles on number portablility and google voice. Once that feature is available, even for a price, this will be a highly utilized and valuable tool. Thanks for the link. That does sound exciting. I've discovered that calling long distance or international for their cheap rates is more convenient than I thought. I just need to call my access line, hit the option to make a call, enter the number, and bingo! My wife's excited that she and her mom will be able to call Mexico City for $.02/minute.